Students often hear the time honored guitar tremolo technique and dive directly into formidable works such as Francisco Tárrega's "Recuerdos de l' Alhambra", or Agustín Barrios' "Una Limimosna por el Amor de Dios, (La Ultima Canción)". Understandably, these are beautifully written benchmark works that have been inspirational to many generations of classical guitarists. 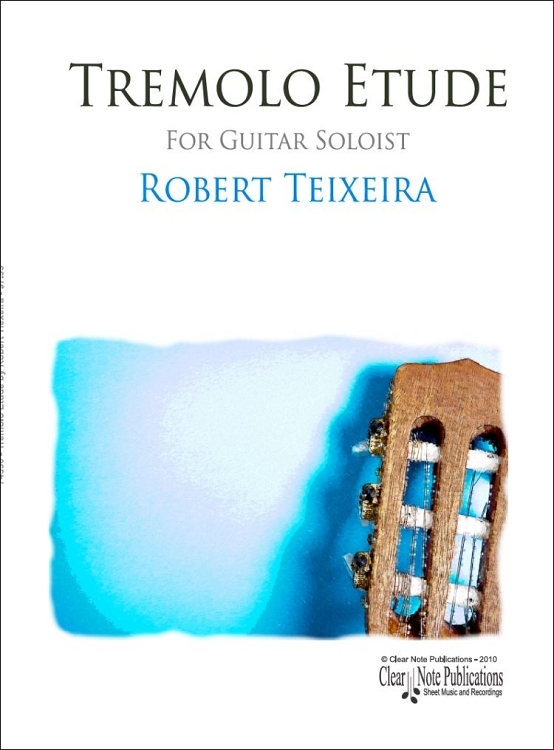 This tremolo Etude is designed to provide a stepping stone to some of these great works. 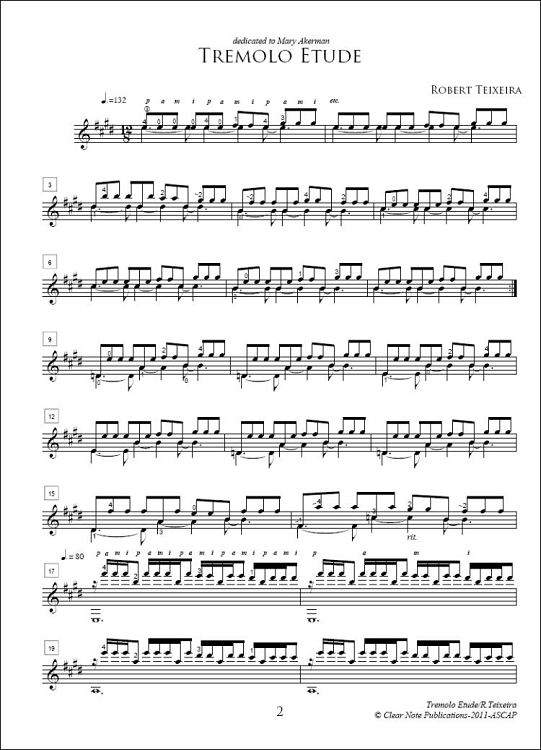 Written in three sections, the first places the traditional four note pattern over a triplet feel. This results in each finger receiving the pulse in rotation and the student learns to control the weight of each finger within the tremolo pattern. The second section breaks the pattern into fragments of p-a-m-i-p, a-m-i-p-a, m-i-p-a-m, and i-p-a-m-i. Interestingly, this produces a larger tremolo pattern where the starting pattern of each fragment follows the pattern, p-a-m-i.